The Fundraising Committee plans and organizes our fundraisers. The committee is looking for new and creative ways to increase our revenue in addition to volunteers to be a part of this committee so that we can continue to accomplish our mission. The committee meets every other month a Wednesday evening. For more information, contact our Executive Director at 715-839-4747 ext. 25 or email at . The Education Committee was developed to increase awareness of animal welfare issues in addition to promoting ECCHA's mission and goals. The committee will meet as often as necessary to develop, implement, and monitor education programs. For more information, contact our Executive Director at 715-839-4747 ext. 25 or email at . Raising awareness about animal welfare and working to increase donation revenue are both key elements to keeping the shelter running. From pet expos to community outreach opportunities, ECCHA always has something exciting to involve you and your pet. We host new events almost monthly and are always reaching out to our community for support. So check back often to learn more about our current needs and upcoming events. You're invited to the 33rd Fido & Friends Fun Run/Walk. This sponsor themed 1-3 mile Run/Walk will benefit the homeless animals at Eau Claire County Humane Association. 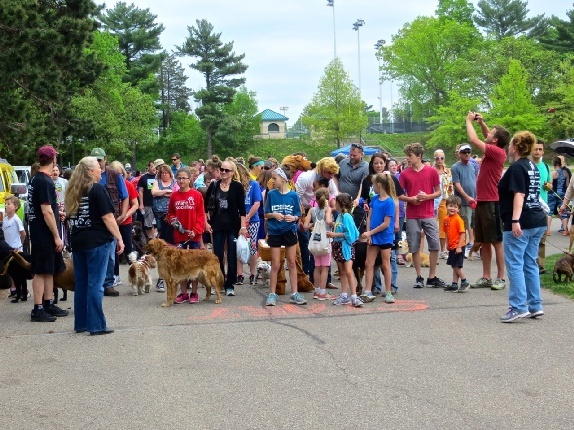 This event will be held on Saturday, May 18, 2019 in Eau Claire's beautiful Carson Park at the Pine Pavilion. Registration begins at 9:00 a.m. and the Run/Walk will start at 10:00 a.m. A breakfast menu will be available at the concession stands as well as sponsor booths and family-friendly activities that will continue throughout the event. Registration is $30 per adult. Children 12 and under are free. Registration includes an event t-shirt and goodie bag while supplies last. February is National Prevent a Litter Month! The Eau Claire County Humane Association recognizes this important education message by offering $25 off coupons for the spay/neuter of any pet (all pets anywhere not just ECCHA animals) at participating veterinarians. This starts Feb. 1 and will continue through the whole month to obtain the coupons. Those interested need to make the vet appointment in February but the coupon is valid until March 15th since appointments fill up fast. Your membership will give more animals the chance to live in the comfort of a loving, nurturing, forever home. The best way to become a member is by visiting our website at www.eccha.org. Click on the Donate tab at the top and then go to the "Become a Member" page and fill in the required information. You are also welcome to complete the included membership form and mail it back to us. Zowie found her forever home because of one kind stranger, a caring shelter and an adoptive mom that needed an animal to love. Join today and help more Zowie's find their forever home. This unique Honor and Memorial gift program is a heartfelt way to acknowledge the animal lovers in your life, past and present. "Paws to Remember" celebrates a special person or pet. Your $100 contribution to ECCHA ensures the care, safety, and placement of ECCHA animals in their forever homes. The Paw Plaque will be permanently displayed at ECCHA's lobby in a beautiful homemade show- case. All donors will receive a paw print lapel pin and a certificate showing this honor. Shelley Janke, our new Director! The Eau Claire County Humane Association is proud to announce the hiring of a new Executive Director. Shelley Janke has been name Director and assumed the role in mid-June. Shelley comes to the position after serving for the past 7 years as the Executive Director of the Memorial Medical Center Foundation in Neillsville, Wisconsin. Shelley has over 18 years experience working in the non-profit world and was previously employed in the Chippewa Valley region as the Development Director for the Mabel Tainter Center for the Arts and as the Executive Director for Main Street of Menomonie. "I am very excited about this opportunity to serve as the Executive Director of such an amazing organization. There is such passion here and a real vision for the future. The idea of growing the organization and helping more animals find their forever home is so rewarding and exciting and I am looking forward to really diving in head first and working with the board, staff, and volunteers to accomplish our goals!" Shelley currently resides in Alma Center, Wisconsin with her husband and three children. In her free time she loves to go boating, spend time outside during the summer months, travel, and hang out with her family. She currently has a pet cat named Katie and a goldfish that has survived over 6 years since he was won at the local fair! She recently lost her dog of 10 years "Jynx" and misses her every day. She applied for the position at the Association the same week her Jynx passed away. The Eau Claire County Humane Association (ECCHA) is a 501 [c] 3 non-profit organization that was organized in 1962 in response to a growing need to care for unwanted and abandoned animals. Every year, approximately 2,400 strays and surrendered animals are received by the Eau Claire County Humane Association. The 16 acres complex located on Old Town House Road and is currently in need of renovation or replacement. "I am really looking forward to working towards improving the current building structure and adding space. The organization has done a tremendous job over the past years taking care of our animal populations, but it is apparent that more space is need to accommodate our growing area. It's exciting to think about what the future holds for ECCHA" commented Janke. Summer is a very busy month at the Association with over 240 animals in care. For more information on the Eau Claire County Humane Association, or to reach Shelley you can call 715-839-4747 ext. 25 or by email to director@eccha.org. 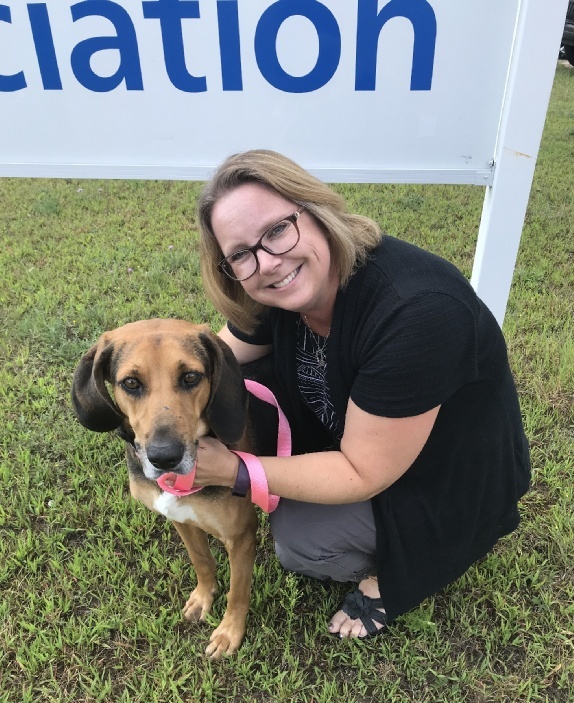 Photo Caption - Shelley Janke, the new Executive Director for the Eau Claire County Humane Association poses with one of her favorite dogs currently available for adoption, Flash!